U.S. Sens. 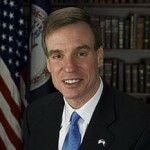 Mark R. Warner and Tim Kaine (both D-Va.) pushed the U.S. Department of Veteran Affairs (VA) to take immediate action regarding critical failures at the Washington D.C. VA Medical Center (DCVAMC) highlighted in an Inspector General report released last week that showed patients were put at risk due to supply, equipment, and inventory issues. Tim Kaine formally filed his required ballot qualifying petitions with more than 18,000 signatures, far exceeding the 10,000-signature requirement, in his re-election campaign for the U.S. Senate. U.S. Senator Tim Kaine (D-VA) joined a group of bipartisan senators on the Senate Armed Services Committee (SASC) in a letter to President Trump to urge the completion and announcement of our nation’s cyber defense strategy. U.S. Senator Tim Kaine, a member of the Senate Health, Education, Labor & Pensions (HELP) Committee, co-sponsored legislation to block attempts by the Trump Administration to walk back protections for people with pre-existing conditions. 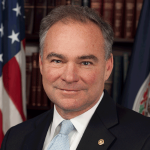 Sen. Tim Kaine, in a letter sent yesterday to Transportation Secretary Elaine Chao, furthered the case for federal support for improvements to the Interstate 81 corridor in Virginia. U.S. Senator Tim Kaine has co-sponsored the Assault Weapons Ban of 2017, a bill to ban the sale, transfer, manufacture and importation of military-style assault weapons and high-capacity ammunition magazines. U.S. Senator Tim Kaine, Co-Chair of the Senate Military Family Caucus, introduced the Jobs and Childcare for Military Families Act of 2018 to address military spouse unemployment and access to affordable childcare. U.S. 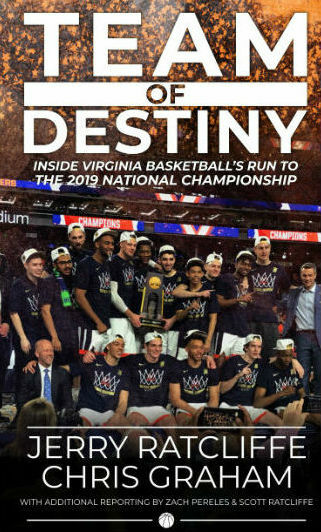 Senator Tim Kaine, a member of the Health, Education, Labor, and Pensions (HELP) Committee, joined a bipartisan group of colleagues as a co-sponsor of the Childhood Cancer Survivorship, Treatment, Access, and Research (STAR) Act. U.S. Sen. Mark R. Warner (D-VA) released the following statement after the Senate failed to advance bipartisan legislation to protect young immigrants known as Dreamers, which failed by a 54-45 vote. Senator Tim Kaine (D-VA), co-chair of the Senate Career and Technical Education (CTE) Caucus, joined his colleagues Senators Maggie Hassan (D-NH), Jeanne Shaheen (D-NH), and Jack Reed (D-RI) to introduce the Gateway to Careers Act. U.S. Sens. Mark R. Warner and Tim Kaine (both D-VA) and U.S. Rep. Rob Wittman (R-VA) requested that Bureau of Indian Affairs schedule a briefing as soon as possible with six newly federally recognized tribes in Virginia so that they can fully understand what benefits and resources will now be available to them. U.S. Senator Tim Kaine, a member of the Senate Budget and Armed Services Committees, released the following statement on the bipartisan budget agreement announced today. U.S. Sens. Mark Warner, a member of the Senate Finance and Budget Committees, and Tim Kaine, a member of the Senate Armed Services and Budget Committees, comment after voting for a bill that will end the shutdown and fund the government through February 8. U.S. Sen. Mark Warner, a member of the Senate Finance and Budget Committees, and Sen. Tim Kaine, a member of the Senate Armed Services and Budget Committees, released the following statement on the federal government shutdown. U.S. Senators Mark Warner, a member of the Senate Finance and Budget Committees, and Tim Kaine, a member of the Senate Armed Services and Budget Committees, released the following statement opposing the one-month Continuing Resolution scheduled for a vote in the House today. U.S. Sen. Mark R. Warner and Sen. Tim Kaine (both D-VA) joined a group of 40 Senate Democrats in standing up for the Consumer Financial Protection Bureau’s (CFPB) independence and power to obtain justice for consumers who have been wronged by large financial institutions. U.S. Sens. Mark R. Warner and Tim Kaine (both D-VA) joined a group of 27 Senate Democrats in a letter to Department of Homeland Security (DHS) Secretary Nielsen urging DHS to reverse its decision to end Temporary Protection Status (TPS) designation for El Salvador. U.S. Senators Tim Kaine and Mark Warner secured final passage of the Thomasina E. Jordan Indian Tribes of Virginia Federal Recognition Act of 2017. Once signed by the President, the legislation will grant federal recognition of six Virginia tribes. Today, U.S. Senators Mark Warner and Tim Kaine and U.S. Representatives Donald McEachin, Gerry Connolly, Don Beyer, and Bobby Scott sent a letter to the Trump Administration requesting that Virginia be exempted from its offshore drilling proposal. U.S. Sens. Mark R. Warner and Tim Kaine announced their support for the Pet and Women Safety (PAWS) Act, a bicameral, bipartisan bill to protect victims of domestic violence, sexual assault, stalking and dating violence from emotional and psychological trauma caused by violence against their pets. Sen. Tim Kaine has raised nearly $14 million this cycle for his 2018 re-election campaign in Virginia. Kaine now has more than $9.2 million cash on hand, more than any declared Republican candidate, putting him in strong position as the election year begins. U.S. Senators Mark R. Warner and Tim Kaine announced $350,000 in federal funds towards the development and implementation of a comprehensive economic development strategy for rural communities across Virginia. U.S. Senator Tim Kaine released the following statement on the Trump administration’s decision to end Temporary Protected Status (TPS) for Salvadoran immigrants displaced by natural disasters, impacting thousands in Virginia. U.S. Senator Tim Kaine sent a letter to the Federal Energy Regulatory Commission (FERC) requesting that it grant a rehearing request on the Mountain Valley Pipeline (MVP) and the Atlantic Coast Pipeline (ACP). U.S. Senators Cory Booker (D-NJ), David Perdue (R-GA), and Tim Kaine (D-VA) introduced the HBCU Capital Financing Improvement Act (S.2268), a bill which will help improve the financial health of some of our country’s most critical higher education institutions. U.S. Senator Tim Kaine released the following statement on the Trump Administration’s decision to open nearly all United States waters to new oil and gas drilling, putting Virginia’s coastal communities at risk. The Staunton and Augusta County Democratic Committees are hosting a meet and greet with Sen. Tim Kaine in the Queen City. U.S. Senators Tim Kaine (D-VA), Mark Warner (D-VA), Cory Booker (D-NJ), and Roy Blunt (R-MO) and Congressman Bobby Scott (D-VA) applauded final Senate passage of their bipartisan 400 Years of African American History Commission Act. Mark Warner and Tim Kaine are requesting information on the impact of the Ensuring Patient Access and Effective Drug Enforcement Act. Senator Tim Kaine, a member of the Senate Budget Committee, released the following statement on the passage of the partisan Senate budget resolution. Mark Warner and Tim Kaine praised a new Senate Democratic proposal to invest $40 billion to build the broadband infrastructure. U.S. Senator Tim Kaine comments on the move of theTrump Administration to abandon the Clean Power Plan. U.S. Senator Tim Kaine visited Puerto Rico to evaluate relief efforts in the wake of Hurricane Maria’s damage to the island. On Saturday, U.S. Senators Tim Kaine (D-VA) will travel to Puerto Rico to survey hurricane damage and relief efforts. U.S. Senators Mark Warner and Tim Kaine joined U.S. Senator Dianne Feinstein (D-CA) to introduce the Automatic Gun Fire Prevention Act. Tim Kaine questioned Sam Brownback – President Trump’s nominee for Ambassador At Large For International Religious Freedom – on his record opposing LGBT rights. Sens. Mark R. Warner and Tim Kaine joined Sens. Joe Manchin and Shelley Moore Capito in introducing the bipartisan American Miners Pension Act. The House has passed bipartisan Early Hearing Detection and Intervention Act, legislation co-sponsored by Sen. Tim Kaine, D-Va.
Mark Warner and Jerry Moran reintroduced the Start Up Act, bipartisan jobs legislation to encourage the creation and growth of new business. The Senate unanimously passed legislation introduced by Sen. Mark R. Warner to improve health outcomes for Medicare beneficiaries living with chronic conditions.